We wanted to take the attention of fellow theatre fans around the world that might be visiting China, and landing to this website before doing so. It is important to understand, that while China is not always as cheap as people think, it's always good to be aware of cost issues. 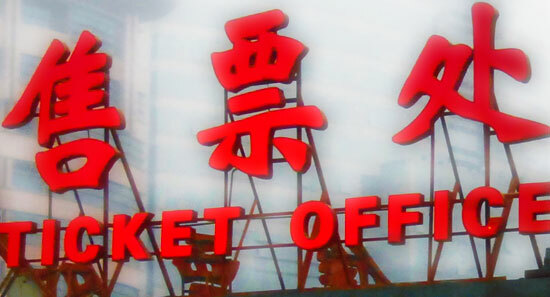 For example, if you want to go and see a theatre performance in the city of Beijing.. it is most likely that there are ticket vendors that you can get not only a reservation for your seats, but also a discounted price for the tickets themselves. This can go up to half the price off at some venues, which is not a little discount at all. That's why we encourage people to be aware of not paying too much, so they can cut corners where it's easy to do and as we all know.. an economic holiday can be a fun one too. China is all about knowing when to pay, and how much inorder to enjoy the benefits of a cheaper society. Just by going there without giving much thought to such ticket issues, one can end up paying even much more then in their home countries. That is also just why it's not fair not to teach tourists and other visitors about the issue. So for example, if you want to go and see the world famous acrobatic show in Beijing. All you need to do is go to a booking site like the one here, and enter your details of arrival, when you want to see the show and so forth. You will receive a booking number and you must write your name on a piece of paper or print out the booking confirmation e-mail. With that, all you need to do is to go to the Chaoyang Theatre booking office in this case and show them the paper to get your discount tickets. Payment is made at the ticket window, before the show starts and they accept cash or credit card. Just note that not all theatre venues accept credit card, so it's better to have emergy cash ready! Hope this helps and enjoy all the amazing shows in Beijing, and the rest of China. Acrobatics is one of our highest recommendation. Thank you!